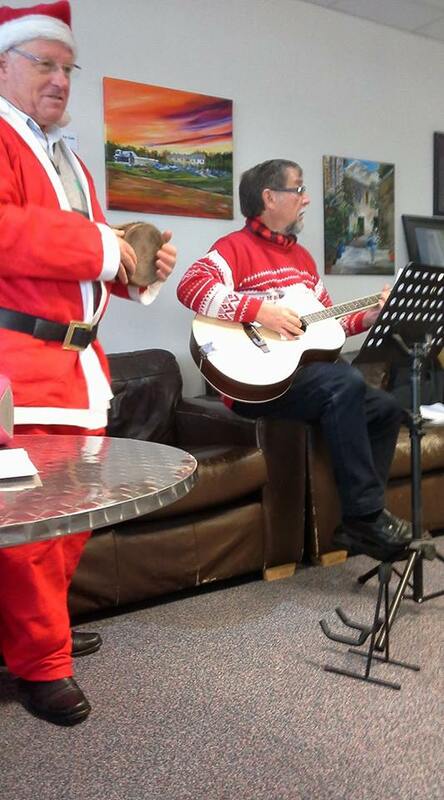 Today members enjoyed there annual Christmas party. Many more pictures can be seen by clicking THIS LINK. 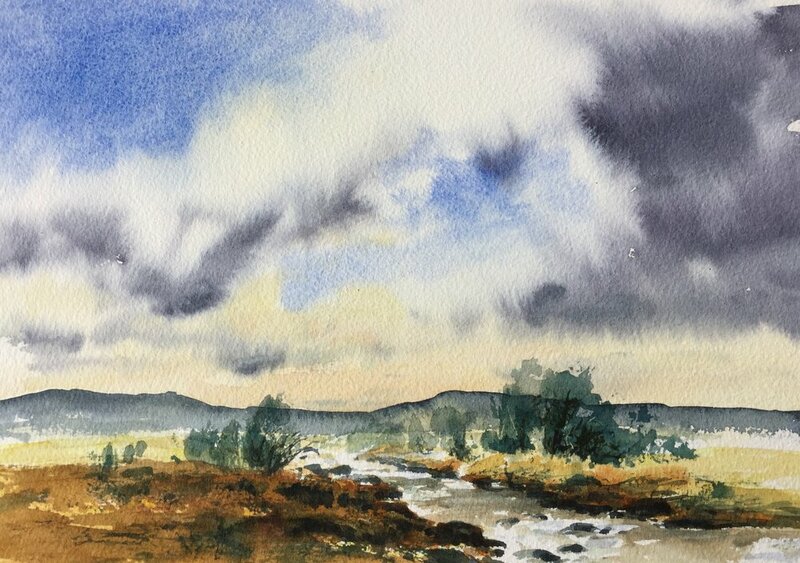 Members today followed on from last weeks theme of Line and Wash like John Harrison. Here are a selection from the day. Left to right - Tony Jones, Arthur Powell, Sandra, Ian x2), Sue, Tony Tricari, Diane and Tom. Some of our members represented Golborne and Lowton Art Group at the AGM of Age UK Wigan Borough on Thursday 30 th November. The AGM took place at St Peter's Pavilion, Hindley. As guests and beneficiaries, we showed our artwork to a large attendance and the works attracted a lot of interest. Entertainment was provided by other beneficiaries, Hindley Group Ukalali Band and, ’Where There's a Will There's a Way’, a local acting group. Pauline of the Wigan Age UK advised of a Carol Service at Leigh Parish Church, opposite the Turnpike Gallery on 13th December 1.00pm-2.00pm. 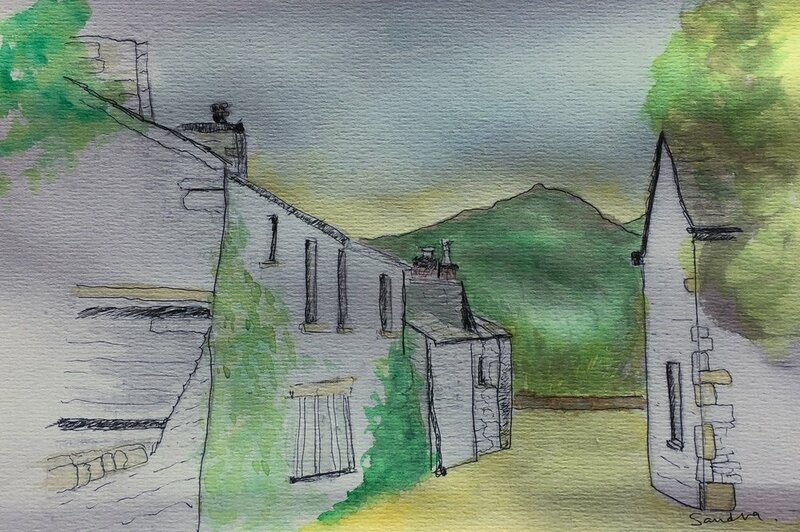 We had a guest artist John Harrison visit us today showing us how to do 'Line and Wash' in his style. Many members joined in with the activity. We can see John on these photographs demonstrating to members together with the his finished paintings. 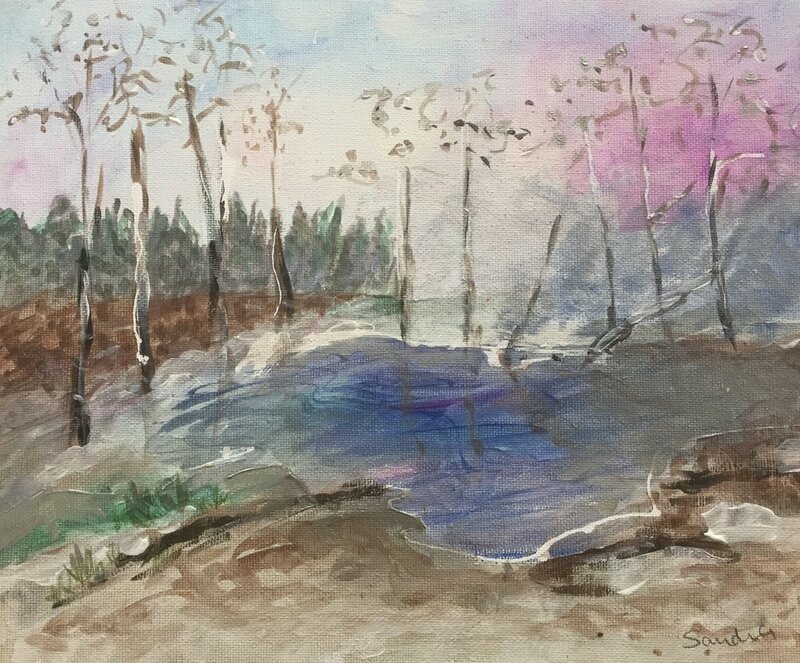 Remember to click on a picture to see a larger view or go to the members work page to view other work. 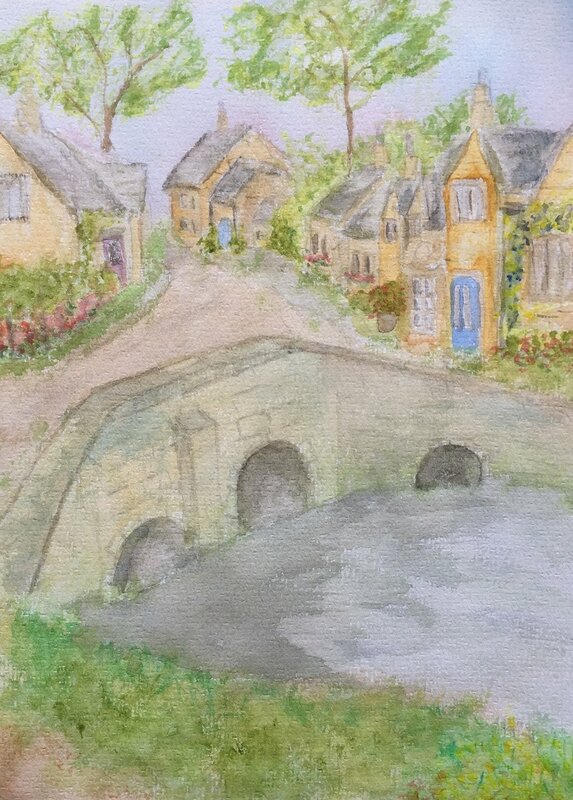 Here is a selection of paintings from our members. Mick, Tony J, Angela, Chris, Arthur (x2), Sue, Diane and Tony jones. Members have finished work on cottages this week and some have painted horses, our theme this week, as well as finished other work. Last row-Annie Jones, Anna Dawson, Tony Triscari and Tony Jones. 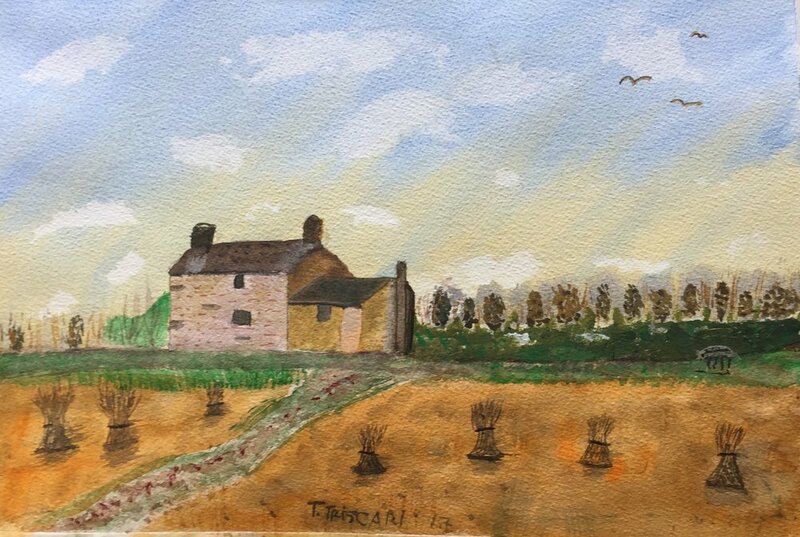 Members were following suggested topic of a country cottage scene, we had a few finished pieces of art work. Others produced excellent work on other subjects. 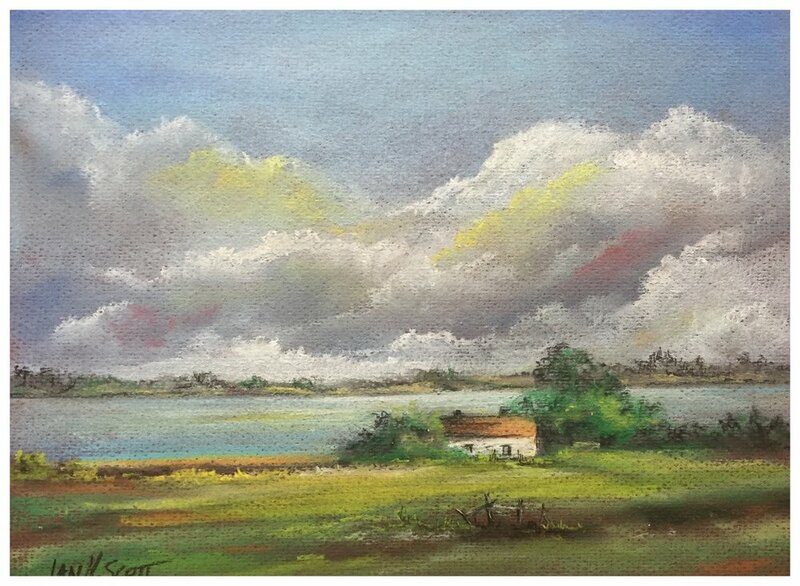 Paintings on the Cottage theme by Mike H, Arthur, Sandra, Tom and Tony J. 2nd Nov 2017. Jan, Anna, Jimmy and Diane met Martine and Pauline from Age Concern Ambition for Ageing, donated 14 pieces of artwork by our art group on the coal mining theme. The event took place at Leigh Miners' Welfare Institute off Twiss Lane, Leigh. Una made us welcome and was so happy to receive the artworks to hang on a wall of the miner's institute. The institute runs as a community centre with many groups and activities running continuously. We have been invited to display our work again at the annual Celebration day in April next year 2018. There was no theme for todays paintings so members did there own thing. 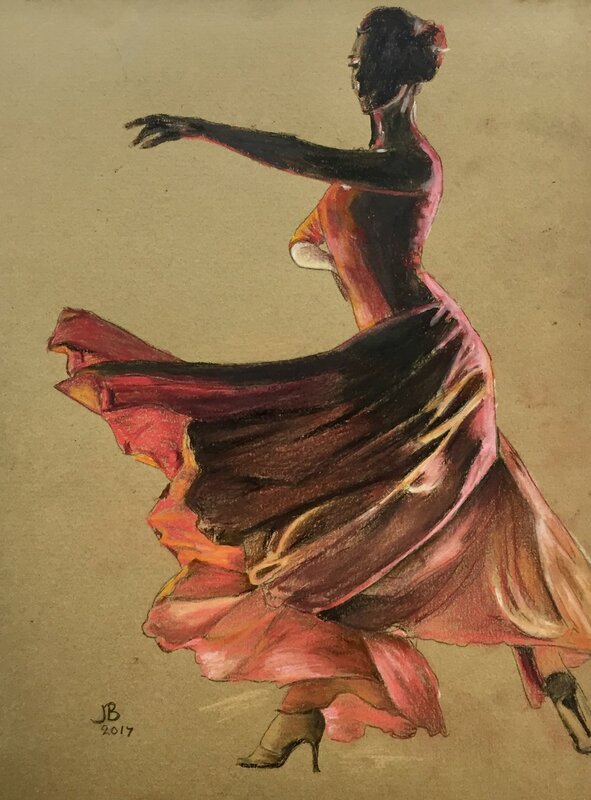 We have a good selection of different subjects our artists did today or over the last week. Click an image to see a larger view. Also look in the artist work folder to see more paintings and the media used. Paintings from Tom, Jim (2), Tony Jones, Mick, Janet (x3), Annie, Angela, Tony Triscari, Sandra, Ian and Pat. Most of today's meeting was taken up by the clubs AGM. Among other things we were discussing, we talked about last years events and how we could improve anything if needed in the following year. Member were very positive on the outcomes and we look forward to another successful year. We did get some time to to some painting, finishing off paintings from last week. We can see below some of the finished work including some done away from the club. 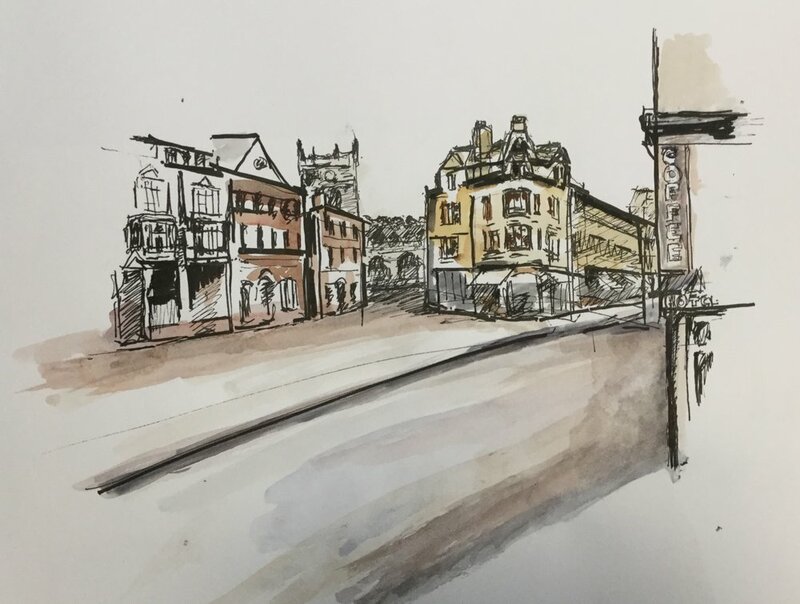 Here are some wonderful paintings done by Diane Bloxham depicting the Town of Wigan and deserves a showcase of there own. 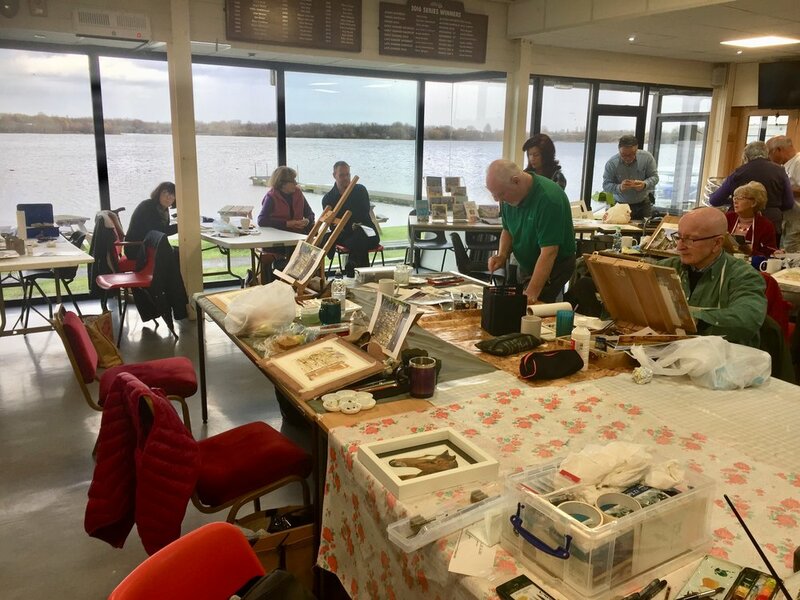 Today members were doing there own paintings. 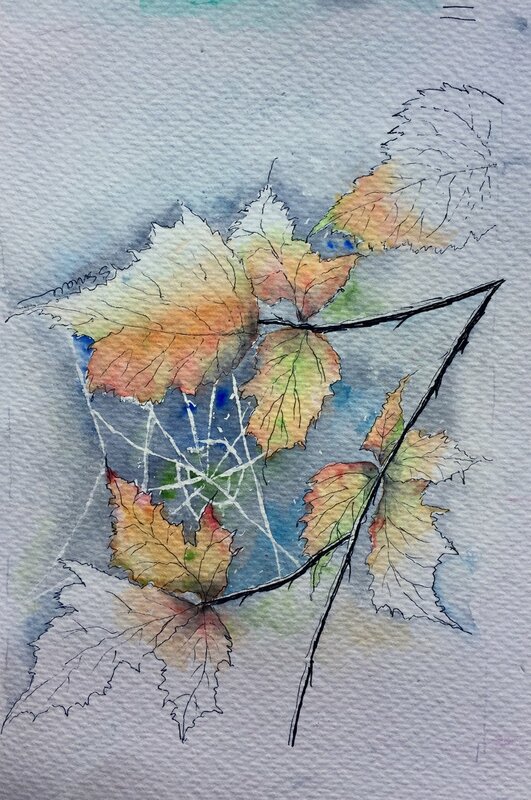 We have a collection of paintings using different mediums. Here we can see finished paintings done on the day or over the past weeks from Linda in Pastel (2), Mike pen and wash, Tom Water based oils, Ian in pastel (2), Sandra watercolour, Tony Jones in Pastel. 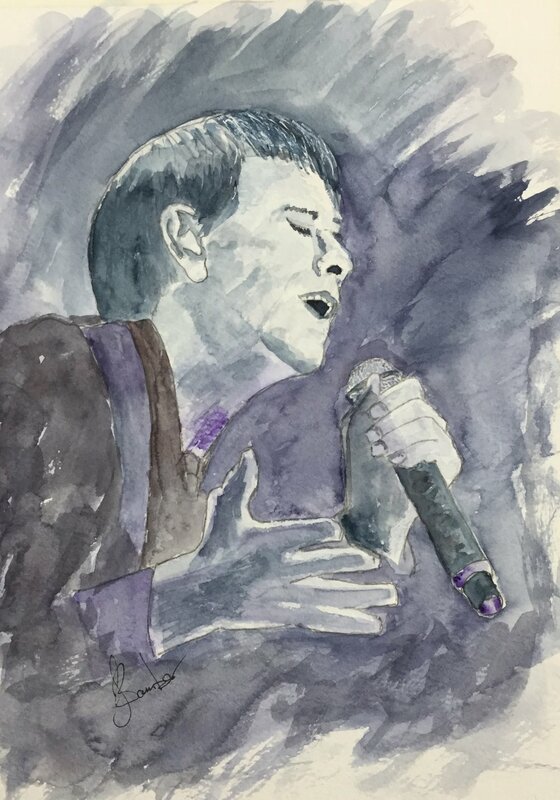 Jim in Acrylic and Brusho,Tony Triscari Acrylic, Janet in Acrylic, Ann in Watercolour, Tony Triscari in Watercolour. The AGM for 2016-2017 will be at 12.00 p.m. Thursday 26th October at the sailing club. If there are any members who would like an item for discussion placed on the agenda then please contact Anna Dawson. Alternatively, any queries or items can be raised under 'Any Other Business'. The junior sailors are booked in for their Autumn Camp which is scheduled for Monday23rd Oct to Wednesday 25th. Thursday 26th is available for us to use as usual. Many thanks to those who contributed to the Golborne and Lowton art group exhibition at St Peter's Church, Firs Lane, Leigh. The mining heritage weekend at the church was a great success. Martine from Age UK wishes to thank those who are donating their artwork to the Leigh Miners Institute. Today's meeting was themed around painting like our demonstration of last week. Although some did follow the theme, other did there own thing. Here we have a selection of painting for the day. Arthur Powel (2) in watercolour, Mick Muddimer (Watercolour), Jim Atkinson, Sandra Surridge (Watercolour), Janet (Acrylic) Ian (Pastel) Sue (Watercolour). Golborne and Lowton art group exhibition at St Peter's Church, Firs Lane, Leigh. We put up our exhibition ready for the coal mining heritage weekend at the church during the weekend 29th September to 1st October. We met Karen the Associate vicar who described the events. All weekend there will be tales from the mines, a talk on Sunday by a Pit Lass and a report from a rescuer of the terrible pit accident. The weekend is a memorial to the pit disasters which are imprinted on people's memories to this day. Exhibits also include artwork from other artists, information on various aspects of coal mining life and artefacts. There is a running commentary on the life of a local miner. It is 35 years since the closure of Bickershaw and Parsonage pits. Refreshments will be available. The Sunday opening will be a celebration which is non-religious and includes the pit worker's talks and a singer. 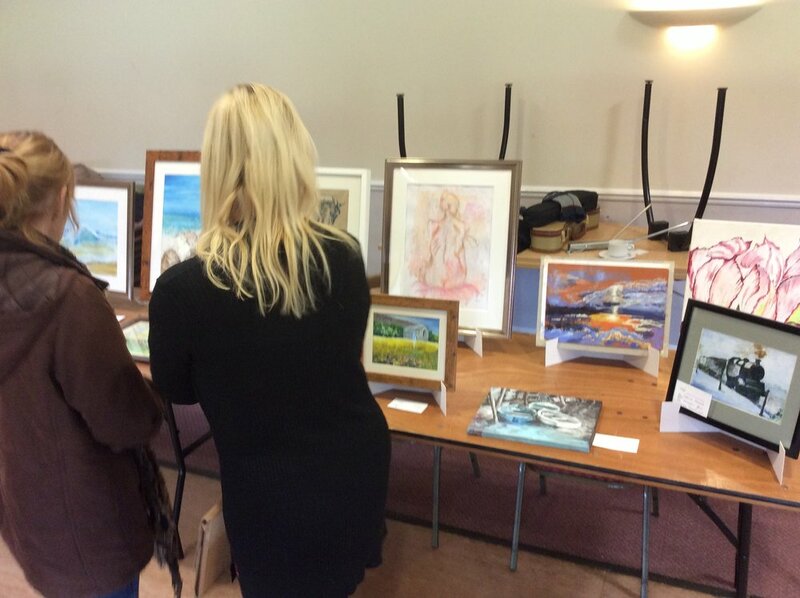 Work by Golborne and Lowton art group and other exhibitors. 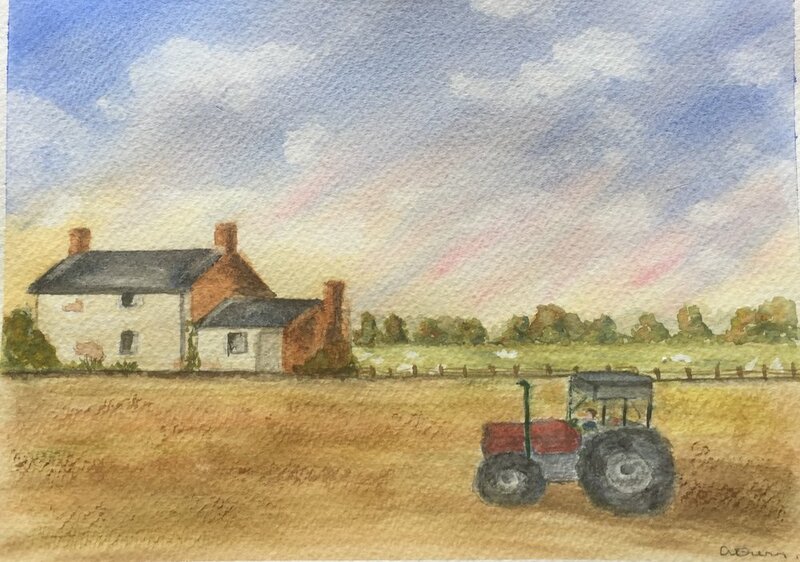 Today John Morris took us through a watercolour of a derelict farm house close to Martin Mere, using a photograph take by John as a reference. Here we see John working on the painting and some member busy painting the scene. A few member finished their paintings, some with a variation on the theme. 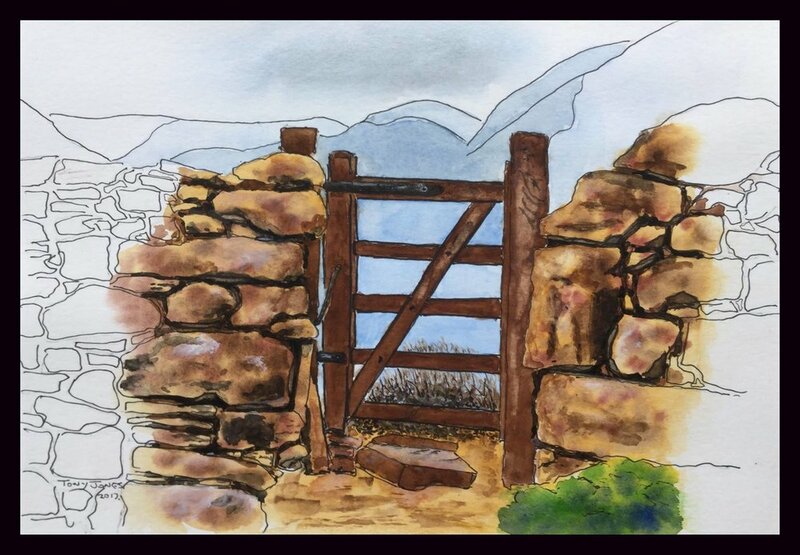 Other paintings completed on the day from Janet (Acrylic), Dianne (Watercolour), Angela Dunn (Acrylic), Brenda (Watercolour) and Ian (Pastel). This coming Thursday the 28th September 2017 John Morris is taking us through a watercolour scene of a cottage in a meadow. 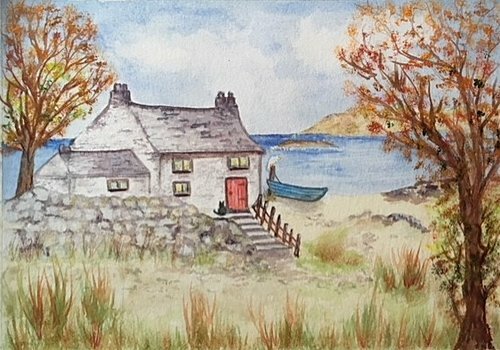 You can download the picture in the worksheet section, but only draw the cottage and horizon line on watercolour paper. - Nothing else to be drawn. The event will start a 10:30. am. 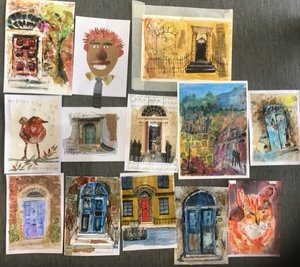 This weeks theme was to do you own thing, here we have a selection of paintings by members. From left to right, Jim Atkinson. (oil), Tony Jones (Acrylic), Janet (Pastel) Tom Mellors (Watercolour x 3) Ian (Pen and Wash), Arthur Powell (Watercolour) and Mike Harrison (Pastel). Click on an image to see a larger view. Celebration of our mining heritage weekend at St. Peter's church, Firs Lane, Leigh, Friday 29 September to Sunday 1 October 2017. Anna and Diane attended a meeting at St Peters Church, Firs Lane, Leigh with the Associate priest Karen on Thursday 24 August. They discussed the Golborne and Lowton art group exhibition of work as part of the church's celebration of our mining heritage. The event takes place from Friday 29 September to Monday 1 October at the church. The church will hold the event on the Friday from 6.00pm to 8.00pm, Saturday from 10.00am to 4.00pm and the celebratory gathering on the Sunday from 2.00pm to 3.30pm. All are welcome to celebrate the sense of community and view the artifacts of our mining heritage and artworks. The event includes talks from our pit brow lasses. There will be a floral display as a memorial to the loss of life in the pit disasters. 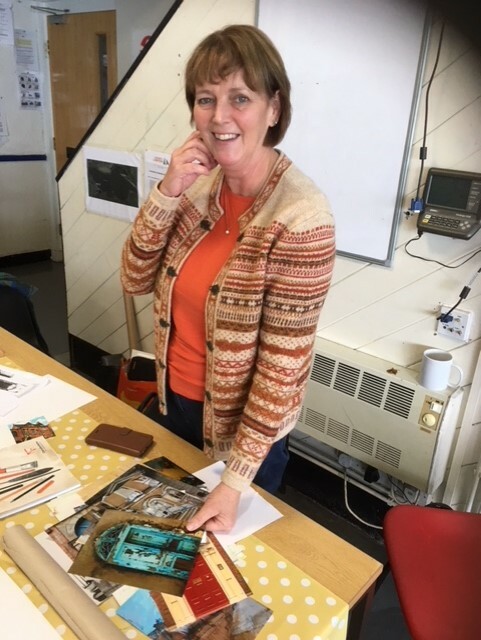 Anna and Diane from the art group attended a printmaking workshop at Valley Artists in Rossendale on Friday 1st September 2017. Anna produced this drypoint print of a squirrel. It was a productive day using the printmaking facilities at the studio. Club members had a day out at Port Sunlight to look at the spectacular Lady Lever Gallery and surrounding Village. Click or scroll through the images. A video of the Grand Gallery. Janet gave us a demonstration on how to paint flowers with Acrylic using only a palette knife. She then went round the room sitting with individuals showing the technique. 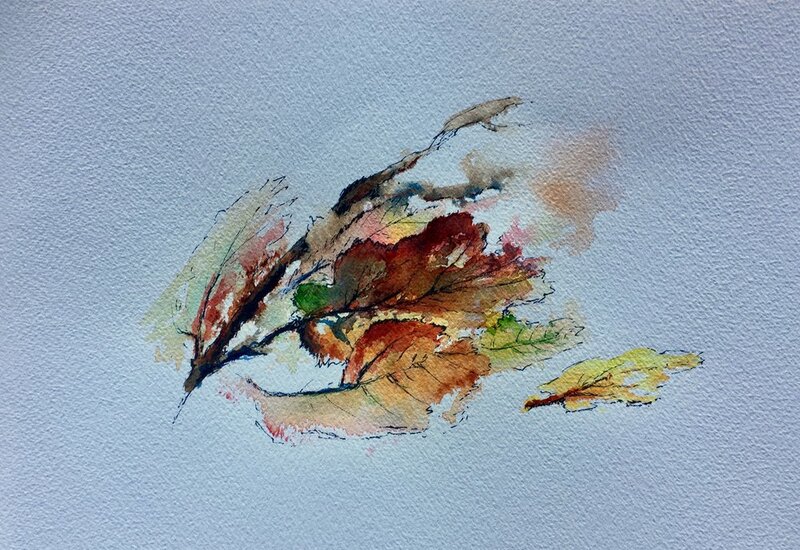 Here are photographs of Janet's examples. Members busy trying out the method. Annie proudly showing us her finished painting. Ian did his own thing in Pastel. Due to the Sailing club having a children's event today we had to cancel. 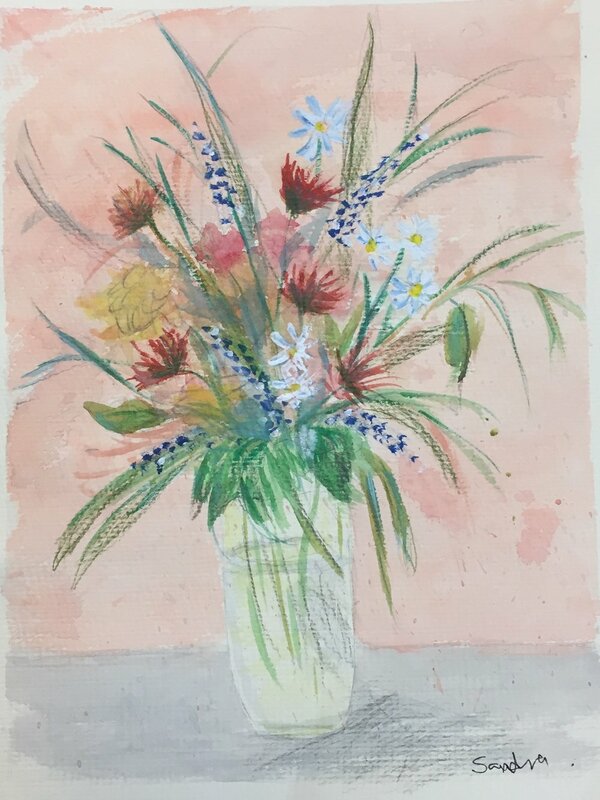 Here are a couple a paintings done by members at home on the day. A wonderful expressive Pastel painting of a Chimp by Janet Bilsbury and a Wax pencil drawing of a Duck by Tony Jones. 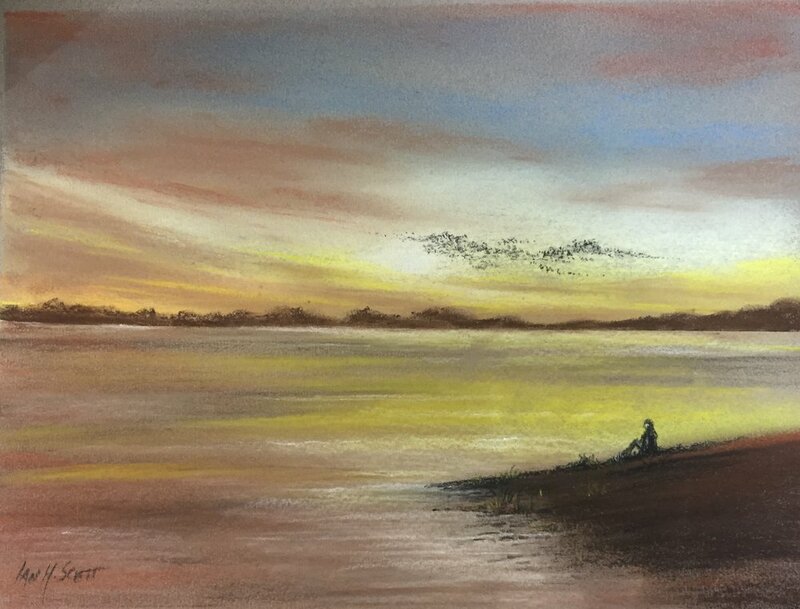 We watched Ian demonstrate a Pastel painting of a stormy sky. 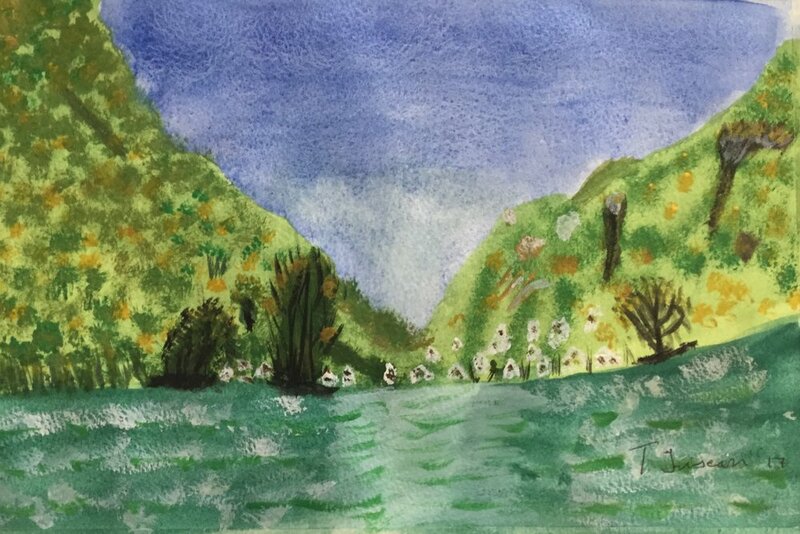 Members, following Ian's instruction completed their own paintings. Jim Atkinson (2), Tony Jones, Mike Harrison, Tom Mellows, Tony Triscari and Jimmy Bamber, Colin Lowe. 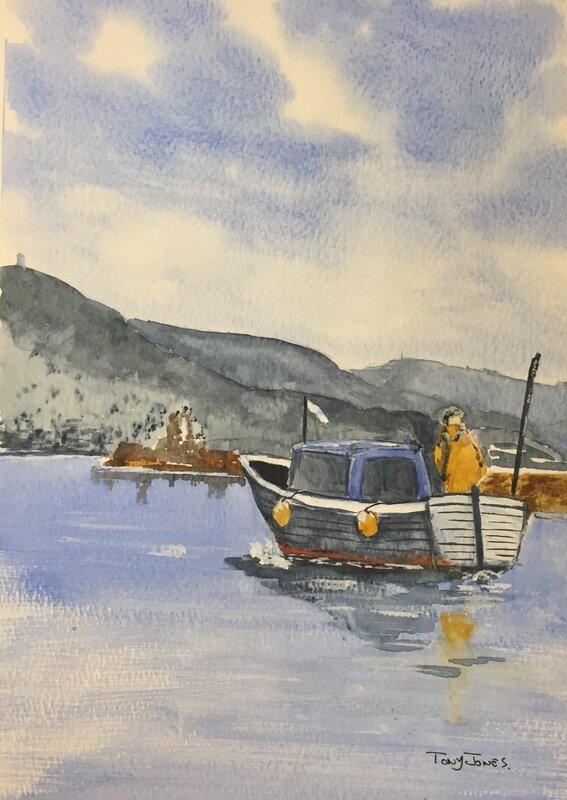 Today’s theme was painting water and although some members followed the suggested topic, we also had an local artist pay us an unexpected visit. Tom Mason gave us a demonstration of painting ‘The lakes’ using oil. He completed three painting in a couple of hours. These are the three paining Tom completed in just two hours. 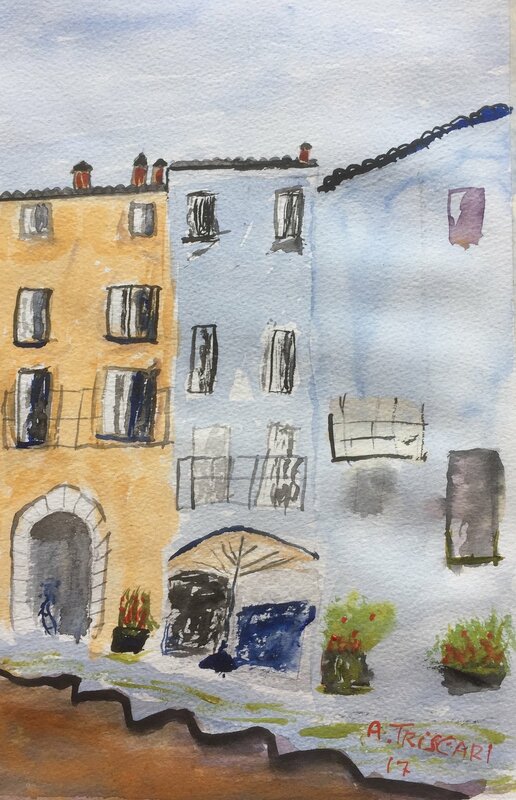 Artist Jim Bickerstaffe was with us today demonstrating a loose watercolour painting of a Mediterranean street scene. Members watched and following his methods then completed some Excellent work. Some paintings by Joyce, Diane, Tony Jones, Tony Tricari and Jimmy Bamber and 1 unknown. One of our members Mike paid his last visit to us today because he is moving to another part of the country, This is a photo of Mike giving us his leaving speech. Mike Harrison wants everyone know that he has thankfully found the lost ring at home, and to thank everyone for helping to look for it at the club. A great photo of Tony Triscary enjoying the day. We have a new member Chris Bury. Chris brought in a lot of photos of her work. Take a look at her gallery Chris works in different mediums including some involving layering tissue paper. Click here, to see Chris's work.